Ceramic tile is a great choice for your shower. You can create a variety of beautiful designs with tile, and depending on the type of tile you choose, it is relatively easy to keep clean. Tile is also durable, and it will have a long life span with very little damage – unless you like to use your shower as a workshop from time to time. The right sealant will protect your tile against dirt and debris so that it is easier to clean. Some experts say that sealing your tile can reduce your cleaning work by as much as 50 percent. The reason is that the sealant keeps dirt, liquids and debris out of the grout and the pores in the tile, so nothing has a chance to penetrate. You can just wipe away the dirt rather than having to use a scrub brush, harsh chemicals and some elbow grease. You’ll be able to get in and get out in no time. 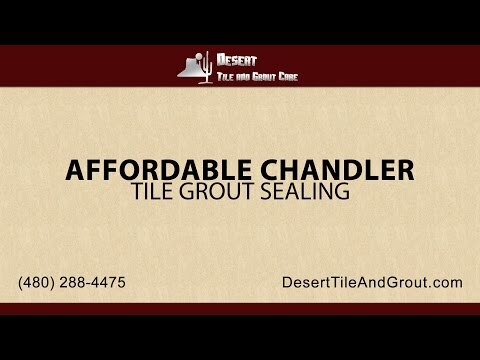 You can always invest in professional tile cleaning services in Chandler to save yourself the time also, but why spend the money when you don’t have to? Just keep your tile sealed and you’ll save yourself time and money on cleaning it. Over time, the accumulation of dirt and debris can stain your tile and your grout, making your shower look dingy or old. It can be very difficult to get out stains once they have set in – sometimes even impossible. Sometimes you have no other recourse but to have your tile regrouted. Sealing your tile will help protect it from stains. The sealant will prevent the liquids and dirt from penetrating and setting in. You have to keep up with the sealant in order for it to be effective, so make sure you stick to the recommended schedule for sealing your tile. With the moist environment in your shower, you can’t afford to go any amount of time without sealant on your tile since stains will set in quickly. Mold is one of the biggest problems in your shower. Not only does it pose a health risk, but it is also unsightly. Leaving mold to go untreated can cause significant staining on your shower tile, which can be very difficult to remove. Professional ceramic tile and grout cleaning may remove the mold, but you may end up having to replace the grout and some of the tile. Chandler tile sealing your shower will help keep moisture out of it, which will inhibit the growth of mold. If mold does form on the surface of the tile, it will be easier to remove since it has not been allowed to penetrate the materials. Keeping your shower dry will also help reduce the spread of mold. Just turn on the vent after a shower or use a squeegee to quickly rub down the surface and get rid of excess moisture. Sealing your tile is a simple way to protect it and cut back on the maintenance you have to perform. With regular sealing, you’ll cut your cleaning duties in half and you’ll prevent serious damage to your tile. You’ll keep your tile looking longer, and you’ll extend its life span. 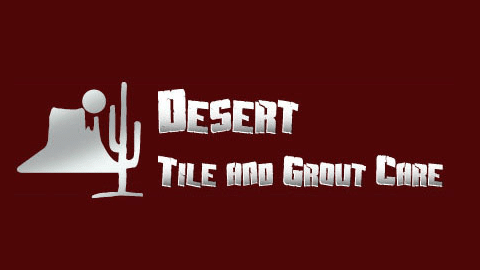 When you have let your tile go and it is beyond your ability to clean, call the professionals at Desert Tile and Grout Care in Arizona. We can remove even the most stubborn of stains in your tile or grout, helping to give the tile a new look and new life. In many cases, we can save you from having to regrout or replace your tile. We perform ceramic tile and grout cleaning in Chandler, as well as cleaning for many other types of tile. Check out our online reviews and see what others in Arizona have to say about our excellent service and our impressive results. Then give us a call to schedule your ceramic tile and grout cleaning in Chandler. And if you haven’t already, make an appointment for tile sealing your shower!